Many times, people purchase training programs then lose track of them and realize later on that they hardly completed any of them. 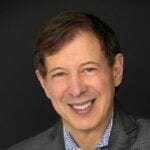 Coach, writer, and business genius Mitch Russo had the exact same story, which led him to develop the Results Breakthrough Network strategy of teaching people how to get things done, including some big hairy ideas. Mitch’s mission in creating the program is to work with people who own courses, programs, and masterminds so that they could pair people up in the program as it’s starting instead of having them find each other later. The premise of the software is that people who are better trained finish the courses, and people who finished courses buy more courses. Mitch talks in detail about his whole new mission. My guest is Mitch Russo. He’s been here before on the Selling Disruption Show. He started a software company in his garage and sold it for eight figures. He went on to work directly with Tony Robbins and Chet Holmes to build a $25 million business. Mitch wrote the book called The Invisible Organization: How Ingenious CEOs are Creating, Thriving Virtual Companies. He’s here to talk about his whole new mission called the Results Breakthrough Network. Welcome back, Mitch. Thanks, Mark. It’s great to be back. You and I have had some fantastic conversations over the years. We share an awful lot of common interests, not only the fact that we’re both engineers by training, which means we’re systems thinkers. We’re also trying to tinker with things, take them apart, put them together, make them better, and create systems so people can succeed. I am excited about your new Results Breakthrough Network strategy of helping people make the rubber hit the road and get done what they want to accomplish, including some big, hairy ideas. How do you get going? I’ve got to tell you a little bit of the backstory, so you know where I’m coming from. I opened up my spreadsheet with all of the training programs I’ve ever purchased because I keep the username and passwords. As a system guy, I have a system for keeping track of this. I’m looking at the spreadsheets, thinking to myself, “I haven’t completed hardly any of these courses.” I’ve got a little sick and tired of looking at this spreadsheet and I said, “I’m going to pick a course and I’m going to finish it.” I picked the course I bought about a year and a half ago and I said, “I have no clue where to start. Why don’t I go back onto the Facebook group and find somebody who I could work through the course with?” I go back and the Facebook group was closed up. There’s nothing but cobwebs. I can’t find a person. I said, “What am I going to do?” I go to the next one, it’s the same experience. I said, “I can’t be the only one with this problem. There’s got to be other people that bought courses and want to finish them but can’t because there’s no support.” I was thinking to myself in an unlimited way, I need someone to coach me through this program, but there is nobody to coach me through that program. If I found them, they would cost more than the program. I said, “What would happen if I could teach people up in the same program to work with each other, one-on-one, for maybe 20 or 30 minutes each week and get each other through the program? That would work.” I thought to myself, “You already did this.” When I was building Tony Robbins and Chet Holmes’ Business Breakthroughs International, we had an entire crew of accountability coaches. We charged $1,800 a month, which by the way was a bargain to CEOs running companies because they could hire a secretary for $1,800 a month. They wouldn’t listen to a secretary trying to keep them accountable. That proved that accountability coaching works. All I had to do was drop the price a little bit from $1,800 to maybe $29.99 a month. Give people a little bit of guidance on how to be a good accountability coach, and then use the technology to not just match them but guide them through each session, with a set of completely crafted accountability questions that will guarantee to get the module by module through the entire program. Right away, the universe is lining up everything I need to make this happen. I hired them. We get to work, and we built this thing. We had to work very hard to get the interface so intuitive and perfect because this is a very personal thing. You’re on the phone with another person, but you’re letting software guide your conversation. When we finally figured it out, it turned out to be so powerful that we filed patents on the entire process. The software is out there and it’s available for anybody to use. People can go and sign up. My real mission here is to work with people who own courses, programs, and masterminds so that we could pair people up in the program as it’s starting instead of having them find each other later. When I work with a company or a person who runs a program, the pricing is low. They could buy a seat for every person in their program for $10 a seat. It’s so low, there is no excuse not to. If you own a program or a mastermind or a training system, what you end up with are people who are better trained, they finish your courses. People who finished courses buy more courses. They tell their friends. They may have a higher level of success. They get what they paid for. What do you think happens to their self-esteem when that happens? They feel so much better. We have so many things pulling us so many different ways. Without a strategy that allows us to pick a target and have somebody help us get to that target is critical. I do executive level coaching. In the past, I have refused to be an accountability coach. I’m a strategy coach, not an accountability coach. Although for $1,800 a month, I can start causing people to have accountability. Put that on top of my current fee or perhaps use something like what you’re saying. One of the things I find interesting about your strategy is that the accountability or learning buddy, the person that’s going to help you get where you wanted to go, shares the same destination. The two of you are heading there synergistically. You both wish to accomplish the same outcome. There’s nothing more powerful than joining forces with somebody who has the same destination in mind. The outcome tends to be substantially better than just some third party of going, “How come you didn’t do that?” It’s a nurturing type of approach and we always learn better together. In all of the programs I do, we always have learning buddies. We always learned in pairs. It produces substantially better outcomes than when they learn on their own. The reason why is without that learning buddy, it’s hard to ask questions that might seem dumb. The devil’s advocate question would be, “If you team me up with some other guy in the same program, it’s like the blind leading the blind.” The way about it is that accountability comes down to three questions. Once you learn those three questions, you could certainly riff on those three questions as much as you want. The most important thing is that you’re guided by the software based on a set of questions on a per module basis that are designed by the course creator. The course creator is guiding you through with accountability questions. In fact, it’s intuitive that we take the course syllabus and turn that into the accountability questions. Then we polished them further to make sure that they’re truly effective. Let’s apply this to a reader, which is going to be an executive in an organization. What would be a way to implement the strategy in an organization? Corporate training costs were $28 billion in the United States in 2017 according to Training Magazine. With all that money spent, the completion rate on those courses is about 4%. You need to go check your completion rates and if you’re getting 4% you’re getting screwed. There are very clever tools built into training platforms these days. That forces your hand to pay attention, which is great but we don’t know if anybody’s getting anything from these courses other than completing them because their boss says they have to or they have to check it off. If you’re a typical Millennial, you’re not only taking the course, but you’re also watching a YouTube video at the same time or texting your friends. I’m not saying that there’s anything wrong with it, but you can only put your attention to one place at a time. That’s the part that most people don’t realize, because we were raised in an environment where multitasking was seen as a talent. As we’ve gotten older, we’ve come to realize that multitasking is the death of focus. Let’s go back to the corporate environment. You are sitting there in that corporate environment with all these training programs. All you have to do is take what we’ve discussed, use the software or even a paper system to pair people up, and get them focused on the coursework itself with a checks and balances system that makes sure that it’s getting done. Even if they’ve got two or three modules further along in the course they would have anyway, we’ve won. The goal of course is completion but the idea is, “Let’s get as far as we can get them through the course.” That makes them better employees and makes us better leaders when we’re constantly learning and applying. The applying part is important as you know. You have to try it and make sure it works to get that change in behavior, to get that transformation. A lot of organizations call a training that is not technical soft skill training. We need to strike that word forever from our training vocabulary. They’re not soft skills, they are essential skills. The term soft skills makes it sound as if they’re less important. Customer service skills or negotiating skills or sales skills, those are usually considered to be soft skills. They’re not. They’re essential skills. Besides the individual getting better at all of those things, becoming more competent at their work, and potentially even earning more money, look at the benefits to the corporation. The benefits are to the individual, manager and customers. The benefits are everywhere if we can help people complete the training that we’ve tasked them to complete. You said accountability comes down to three questions. What are the three questions? To those of you who are moms or dads and you have kids in the house, you know what these are. I want you to think about this from the perspective of working with another adult and you’re back and forth and you’re talking to each other. 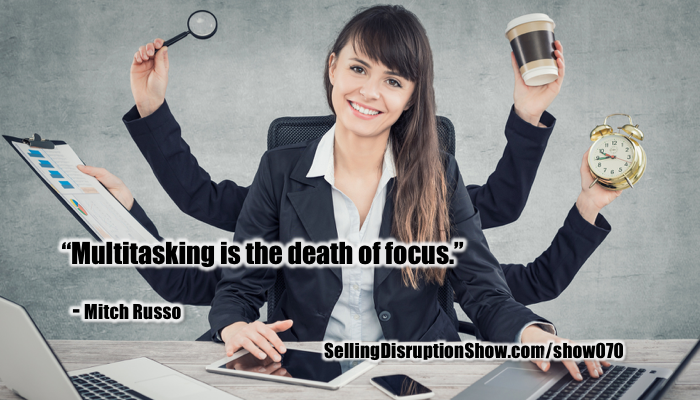 You want to stay focused on the task itself, not on the personalities. 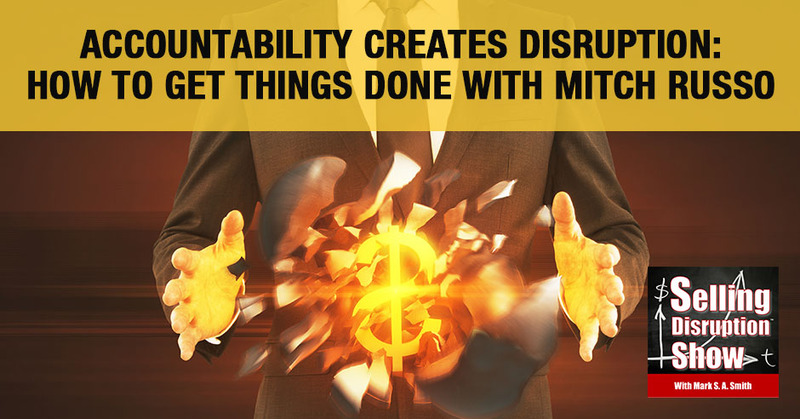 If you are working with someone and you ask them their accountability question and they say, “No, I didn’t get it done,” the simplest thing you could say is, “Why not?” and then listen. What you have just accomplished if you have held their feet to the fire with that one question. If you don’t follow up with, “Why not?” then they’re not being held accountable. After they tell you the reason why, without judgment, simply say, “Do you think you can get that done by the next time we meet?” or something like, “Will you commit to doing this the next time we meet?” That’s all there is to it. It’s that simple. If they say, “Yes, I got it done,” then say, “What are we going to get done by next week?” That’s all accountability truly is. The questions themselves are the 10% of what’s happening here. The 90% of what’s actually happening here is the relationship between accountability partners. Before my accountability session, if I didn’t get what I know is on my list done, I’m going to drop everything for two hours and get it done so I don’t disappoint my accountability partner. The reason is that number one, I do want to get the stuff done. More importantly, I know if I didn’t, my accountability partner is going to be disappointed. The other thing is that if we’re in a course together and I don’t do the work two or three sessions in a row, I would recommend that accountability partner to go find someone who will help work with them. 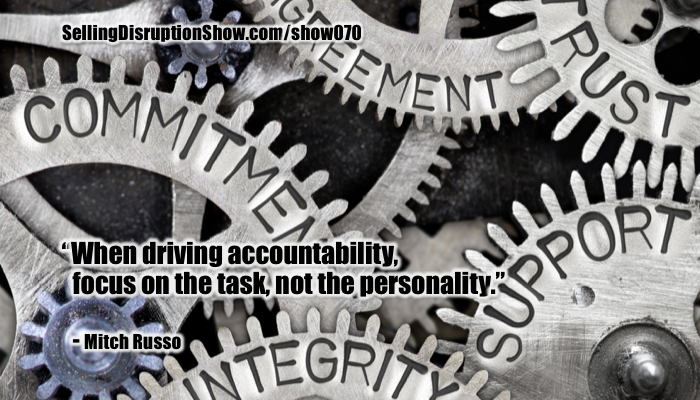 You might lose your accountability partner if you don’t get it done. We also love to compete. Men, women, children, all love to compete. We consider different goals that were competing against, but we all love to compete. If there was a level of competition with my accountability partner, “Did you complete your task?” “Yes. Did you?” “No.” “I win. Loser. You owe me dinner.” A game is always more fun when money is on the line. We’ve got our three questions. Did you complete your task? If the answer’s no, do you think you can get it done by the next time we meet? If the answer is yes, then what are you going to accomplished next week? That’s the three phases. It’s very easy and obvious once you spelled it out. How powerful will that be? I love the system that you’ve put together. I told you that there’s a twist here. I didn’t explain it, so I will. When I was a young man, I got in trouble with drugs. I ended up getting addicted to heroin in high school. I had to learn the hard way what that was about. I was within seconds of dying at one particular point. I had to make a choice, I had to choose whether I wanted to stay on drugs or I wanted to change my life. Through the grace of God, I was given the chance to change my life and I took it. The moment I’m describing is a moment in time when I bought a bag of dope in school and I took it home. I waited until the weekend. After the band practice was over, I cooked up my little bag of dope, and I put it into the needle. I was just about to inject it into my arm when the phone rang. I picked up the phone and all I could hear is, “Click, click, click,” and I said, “Hello. There’s nobody here.” I hung up. I picked up that needle to go back to injecting it into myself. What was in the needle has gelled solid. What I was sold was a counterfeit. It was probably Drano. When I cooked it up and it was in liquid form, if I had plunged it right into my arm, I would have been dead fifteen seconds later. That phone call saved my life. I don’t know who it was that called me. We never will know, but we do know that call saved my life. The story that I’m telling you is relevant to what I described with Results Breakthrough Network because in every person who joins the network, on their profile, there’s a checkbox. The checkbox says, “I want to be a ten-minute mentor.” If you click that checkbox, when we get all of this set in place, we will set you up with an inner-city high school kid that you can connect with for ten to twenty minutes a month as their mentor. If I had a ten-minute mentor, maybe I would not have put a needle in my arm. My hope is that someday I can have maybe 10,000 ten-minute mentors out there saving kids and guiding them to their fortune and their beautiful life, which are the lives that we’ve all achieved as adults. Those that are here at the Selling Disruption Show as executives, we are here to make a difference for employees, for ourselves, for our families, for our community, and for our world. We’re committed to that. Thanks for sharing that with our reader, Mitch. What is the next step for somebody who wants to bring this accountability strategy, Results Breakthrough Network, into their organization? Both from a corporate standpoint or if somebody has a training program that wants to bring something like this into their sphere. The simplest way is to reach out to me and let’s do a demo. It takes eight minutes to demo the software. In a total of ten minutes, we will have figured out exactly the best way to deploy it in your organization. There is a ten-minute mentorship to begin with. At that point, it will be fairly clear to you whether it’s a fit or not. I have engaged Mitch to implement this in my Executive Strategy Summit Community. To those who attend that training can implement what they choose within this environment to make the rubber hit the road and take those skills and make them into action. 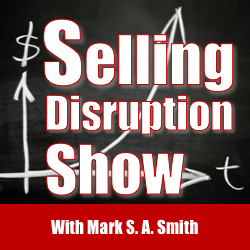 Thank you so much for being a great guest once again on the Selling Disruption Show. I look forward to seeing you in person again soon.